Is there a Visual Performance Formula Designed Specifically for Athletes? 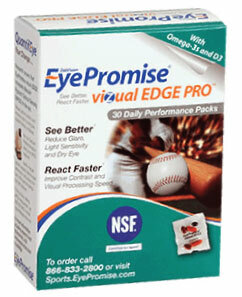 Yes, EyePromise vizul EDGE PRO™ - the eye vitamin that maximizes performance on and off the field. 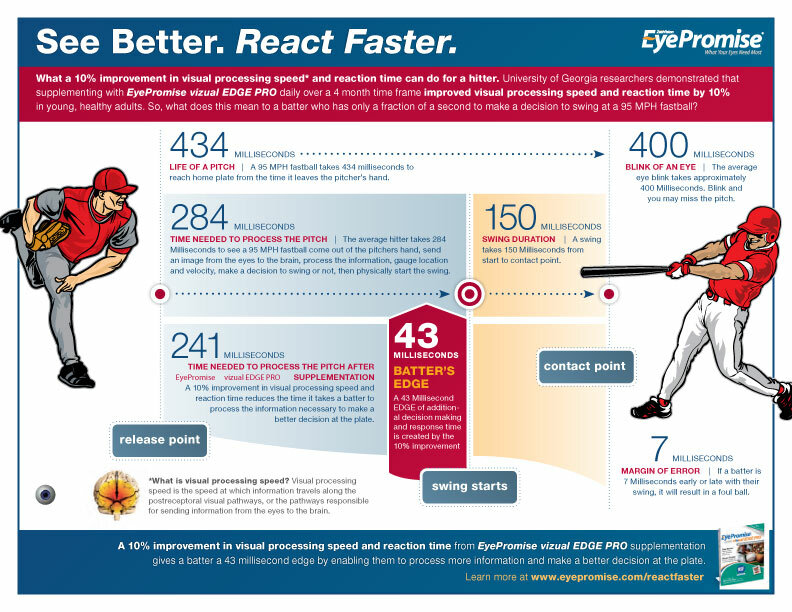 EyePromise vizual EDGE PRO is formulated to help athletes SEE BETTER and REACT FASTER by improving visual processing speed, contrast sensitivity glare and sensitivity to light. What are the benefits to EyePromis vizual EDGE PRO? Improve visual processing speed to react faster. EyePromise vizual EDGE PRO is also NSF Certified for Sport® by NSF International, a rigorous program that ensures a dietary supplement is free of banned substances, including stimulants, narcotics, steroids, diuretics, beta-2-agonists, and masking agents, as well as unsafe levels of contaminants. Abstract: Subjects (64 total) in the EyePromise Zeaxanthin and EyePromise vizual EDGE PRO arms experienced significant improvements in visual processing speed and reaction time.